The history of wine goes back centuries, but we can first trace it to 7000 BC. In China, individuals starting making alcoholic beverages from wild mountain grapes. Even though they weren’t the first people to make wine, they were among the first discovered humans to consume fermented grapes. Since 7000 BC, scientists have discovered early humans who made wine in Greece, Italy, and throughout the Roman Empire and Europe. Today, modern wine is made across the globe. In the United States, Americans consume over 900 million gallons of wine per year, with this number steadily increasing every year. If you want to celebrate National Drink Wine Day, there are several ways to do so. You could go to your local grocery store and purchase a bottle, or you and your friends could make your way to Coastal Kitchen. At Coastal Kitchen, we serve a variety of delicious and satisfying wines. 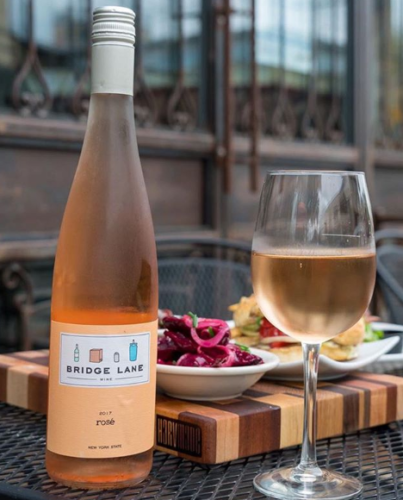 From our white wine menu, consider ordering the Lieb Cellars Pinot Blanc, made at North Fork Long Island. This Pinot Blanc is vibrant, crisp, and has hints of lemongrass, rose petals, star fruit, green apples, and sea spray. Our white wine menu also features a Chardonnay, a Sauvignon Blanc, and a Rose. If you’re more of a red wine drinker, order the Broquel Malbec from Mendoza, Argentina. This wine is made at a high elevation with varietal notes of rich fruit, mountain flowers, and a touch of smoke. We also serve other red wines, including a Cabernet, a Pinot Noir, and a Merlot. Enjoy National Drink Wine Day at Coastal Kitchen this February 18! Visit our restaurant during happy hour for $2 glasses of wine. Our happy hour is Monday through Friday from 4 to 6 p.m., and we hope to see you here then! You can find us at 12 E Main Street in Bay Shore.